Various Bagged Specialties and Old Fashioned Favorites. Our bagged candy selection offers some of the latest treats to tickle the taste buds and an array of favorites from days gone by. When you combine genuine Nabisco Chocolate Oreo Cookies and our premium chocolate coatings you end up with a memorable snack experience. 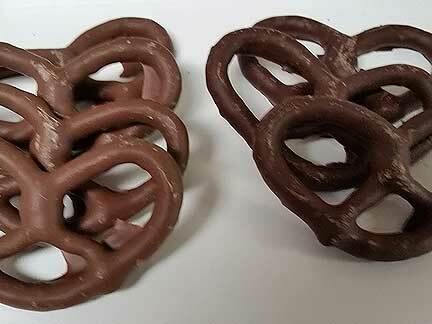 Our Chocolate covered pretzels are famous. We begin with highest grade pretzels and combine them with our special recipe milk and dark chocolates for a first-class snack experience. Nonpareils (aka Non Pareil) originated in france (the name may suggest) but we make ours a little closer to home using “Les Ingredients Premium”. 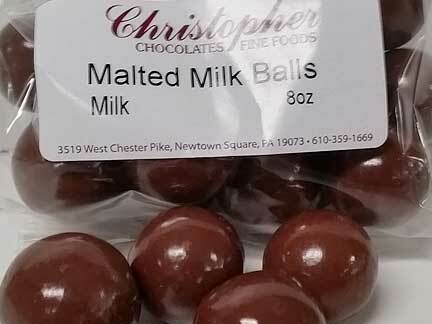 Features panned chocolate peanuts, raisins, almonds, malt-balls and bite-sized cremes. For when you want a little bit of everything. or maybe Raisiny Chocolates? either way you look at it, what else goes together better? 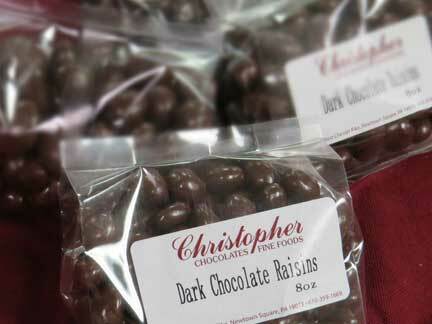 A total sweet-fest with specially selected tangy, plump large raisins in our premium dark and milk chocolate. When you use the best products available the end result is truly special. 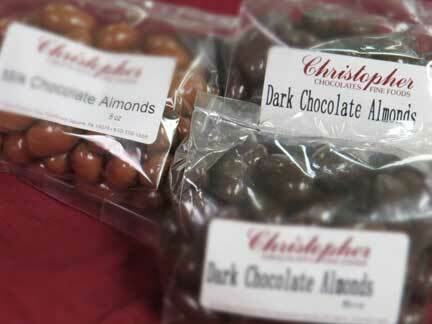 Large premium almonds enrobed in highest quality milk and dark chocolates. 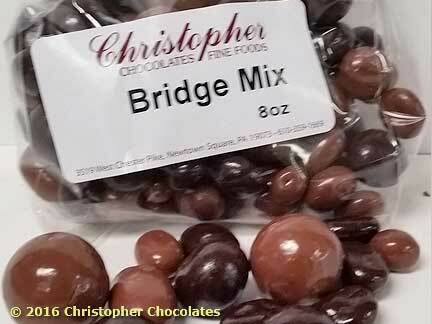 These are great "Gifts within a gift" individually wrapped so they are the gift that goes with you. 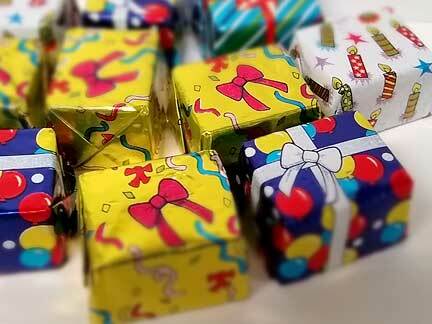 Each gift filled with premium milk chocolate. 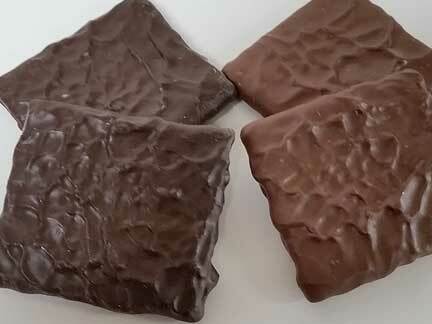 Our Premium Chocolate coated Graham crackors are one of those suprprisingly simple sweets that tastes, mmmm, delicious. 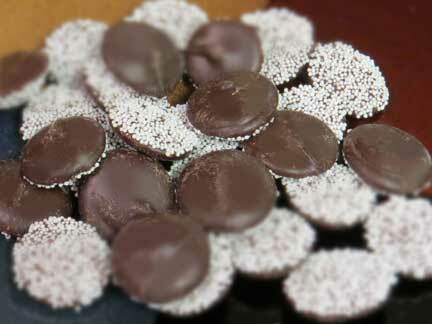 An indescribably sweet sensation, where melt-in-your-mouth good meets a solid yet soft core. Hard to out words on it but easy to put them in your mouth. We are starting with a limited set of the stores products as we continue to gather additional product photographs and detail descriptions. 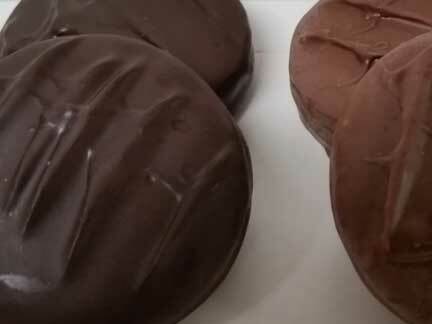 That said if it's a popular chocolate item we are likely to have them available. Please contact us with any questions and feel free to make suggestions about things you'd like to see featured on the website.